To welcome my newest niece to the world, I did what I do best! I got to knitting and made this blanket. I found this awesome baby blanket yarn at Joann's - Bernat Baby Blanket Yarn. It is super soft and feels like a plush blanket when knit up. I bought 2 skeins of "peachy" and got to work. I originally intended the blanket to be a square with a target pattern of varying knitting stitches. However, halfway through I realized that I did not have enough yarn or time to finish the entire blanket. I edited the pattern to be a rectangle as diagrammed below. It still ended up plenty large enough for the new little one measuring in at approximately 48" by 32". I used a 29" size 10.5 needle to hold all the stitches. 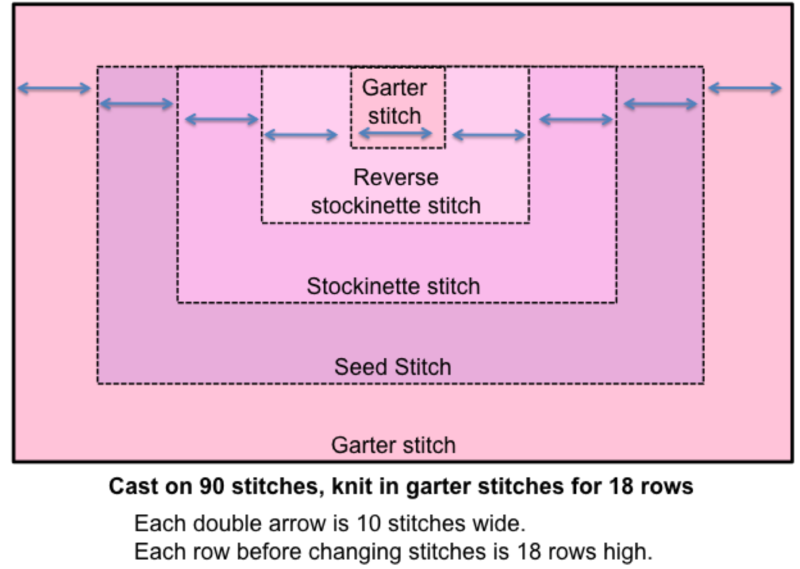 Hi, I'm knitting this pattern and would like to connect to it on Ravelry. Do you have an account there? Hi Lisa, I am "heidiarjes" on Ravelry. I haven't published this on Ravelry yet (as it is more notes than an actual pattern), but I will do that today! Good luck!